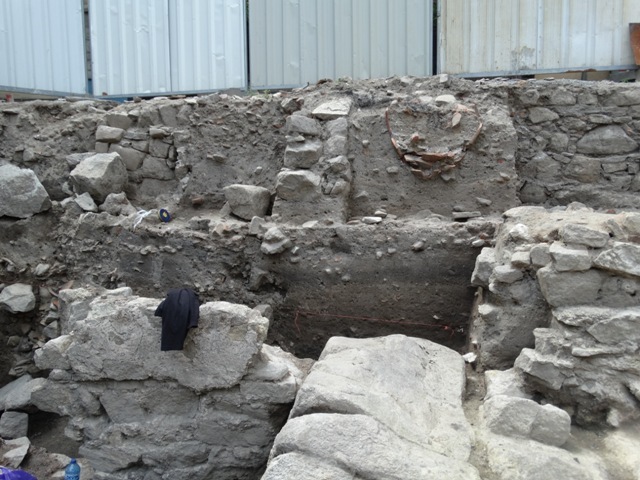 Archaeologist Elena Bozhinova and her team from the Plovdiv Museum of Archaeology are wrapping up the rescue excavations of a plot formerly occupied by a home on the Saborna Str. in the famous Old Town Architectural and Historical Preserve. The 100-year-old house occupying the property was torn down several months ago by the local authorities because it was decided that it posed a public safety hazard, reports local news site Pod Tepeto. 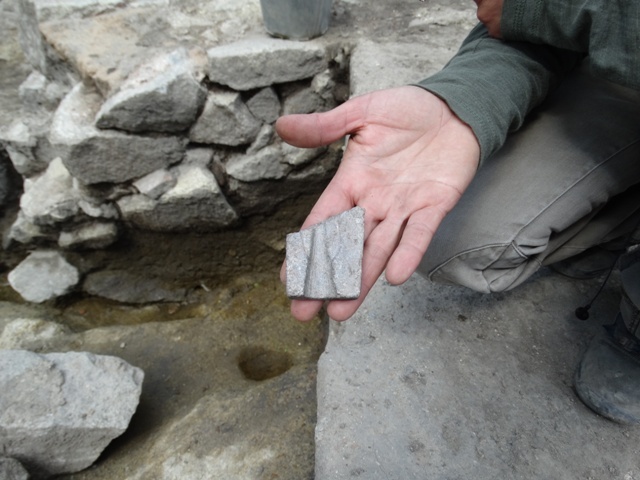 The rescue excavations of the plot, however, are now yielding interesting archaeological discoveries such as the partially preserved stone cast designed for casting bronze spear tips. 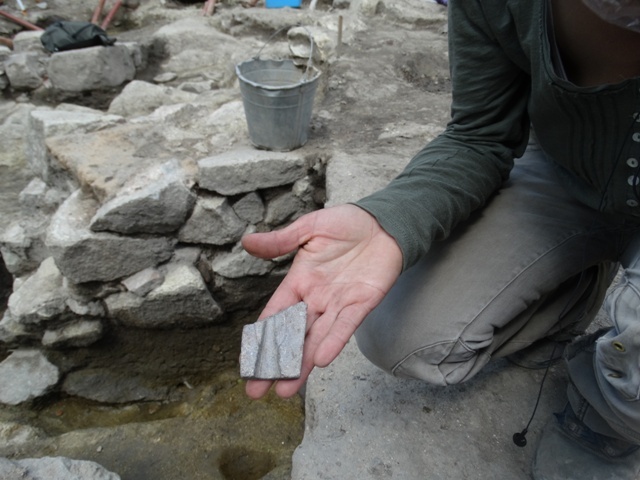 This is the first discovery of spear tip casting instrument in Southern Bulgaria. Archaeologist Elena Bozhinova has explained that the stone cast for the production of spear tips originally consisted of two parts which fit perfectly after they were tied together with a rope. Once they were tied together, melted bronze was poured into the opening of the cast in order to produce a spear tip. Other Antiquity finds discovered by Bozhinova’s team include a wide range of ceramic vessels and several fragments from inscriptions as well as well preserved bone needles similar to modern-day hairpins, which were used by the ancient women as accessories and decorations. 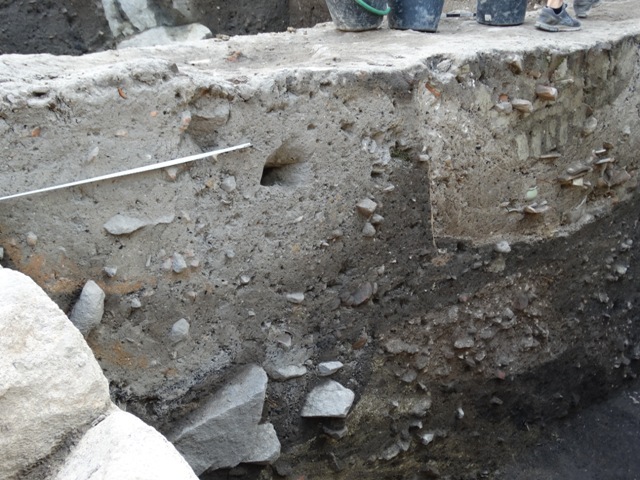 The Plovdiv archaeologists have also found rammers from the 4th century AD. Unfortunately, the site’s archaeological layers from the Antiquity have been found to be rather damaged because the plot was inhabited during the period of the Ottoman Empire. The history of today’s Bulgarian city of Plovdiv began on the ancient hill of Nebet Tepe (“tepe" is the Turkish word for “hill"), one of the seven historic hills where it was founded and developed in prehistoric and ancient times. The hills, or “tepeta", are still known today by their Turkish names from the Ottoman period. Out of all of them, Nebet Tepe has the earliest traces of civilized life dating back to the 6th millennium BC, which makes Plovdiv 8,000 years old, and allegedly the oldest city in Europe. Around 1200 BC, the prehistoric settlement on Nebet Tepe was transformed into the Ancient Thracian city of Eumolpia, also known as Pulpudeva, inhabited by the powerful Ancient Thracian tribe Bessi. During the Early Antiquity period Eumolpia / Pulpudeva grew to encompass the two nearby hills (Dzhambaz Tepe and Taxim Tepe known together with Nebet Tepe as “The Three Hills") as well, with the oldest settlement on Nebet Tepe becoming the citadel of the city acropolis.